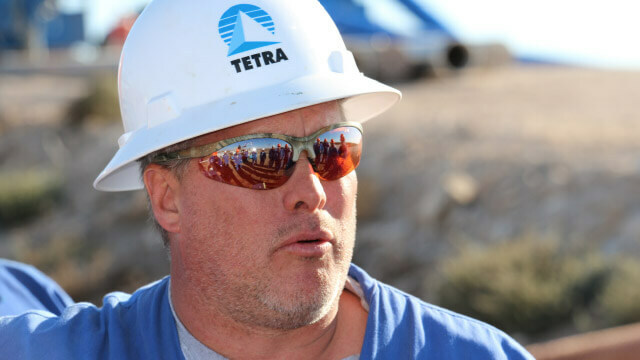 Wellbore Cleanup, Filtration and Displacement | TETRA Technologies, Inc. Specialized chemistries for flocculating solids ahead of filtration are frequently the first step in our world-class filtration solutions. These include the industry’s highest capacity plate and frame filtration system with a smaller footprint than comparable solutions. Our proprietary OilFix™ service assures compliance with oil and grease or oil content requirements. And, our highly specialized and experienced technicians deliver industry leading engineered displacement solutions that are field proven, customizable and cost effective. TETRA has been developing and delivering high quality, innovative clear brine fluids and related products and services to the oil and gas industry for decades. Since we manufacture the base components – calcium chloride, along with calcium bromide, sodium bromide, and zinc bromide – our customers benefit from the most extensive clear brine fluids knowledge in the industry. 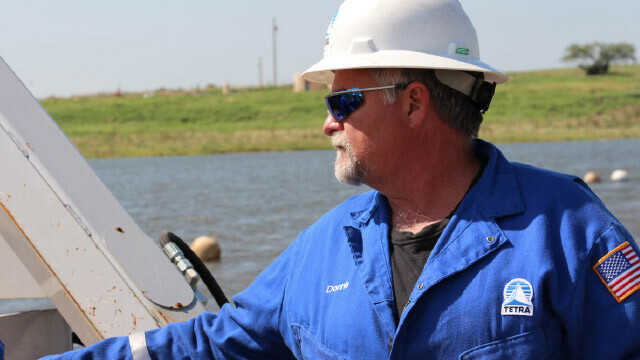 Our trained fluid engineers will work with you to design the optimum wellbore cleanup and displacement program for each well. Considering all of the well parameters and using our DeepDesign™ advanced hydraulic modeling software, we will establish performance criteria and recommend the best solution to meet your specific needs. Our specialized sand separation equipment and knowledge can help put a well’s production into a sales line almost immediately after a frac operation. Our single stage TETRAClean™ spacer system is a one pill, environmentally friendly displacement system. It contains wellbore cleanup surfactants and suspension polymers that act to disperse, remove, and suspend solids in one sweep. The TETRAClean system can be designed for wellbore cleanup of water-based, as well as diesel oil-based and synthetic oil-based muds. TETRA has developed a series of multi-stage displacement systems. The TETRA Designed Spacer Pill (TDSP™) three pill system efficiently displaces drilling mud with minimal mud contamination and fluid interface. Our TETRA Advanced Displacement System (TADS™) separates the synthetic-based muds from the completion fluid, cleans the casing riser and service lines, minimizes the completion fluid interface, and leaves the tubular surfaces water-wet without exceeding the equivalent circulating density or rig pump limitations. Our fluid engineers will work with you to design the optimum wellbore cleanup and displacement program. The TETRA AdvanceClean® specialty tool line includes a complete selection of wellbore cleanup brushes and scrapers in a variety of sizes necessary to tackle the most demanding risers and tubings. The tools’ unique, patented, angled blade design ensures 360°coverage and constructive flow of solids. The brushes and scraper blades are designed with independent springs to avoid failure from metal fatigue.